My name is Wangiwe Joanna Kambuzi and I am the co-founder for Mzuzu Entrepreneur Hub. I have two years experience working in an entrepreneurial environment through different local and international organizations including my own company, Crystal Dazzle events, as well as Mzuzu Pitch Night, Youth to Youth Empowerment, Dzuka Africa and Blantyre Entrepreneur Hub. 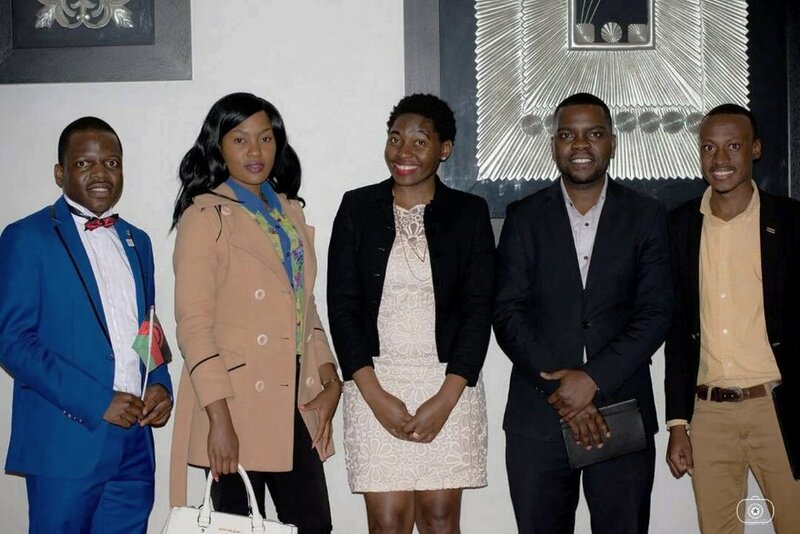 Under Youth to Youth Empowerment Network, I introduced a program known as IAM AN ENTREPRENEUR which provides the required knowledge and mentoring young entrepreneurs need to become innovative business owners who create jobs to help end unemployment in Malawi. For the past year, I have been working with youth and women entrepreneurs in Mzuzu and I’ve discovered that while there are so many of them interested in starting a business, there are also many challenges that keep success out of reach. Issues like lack of access to information, a lack of mentorship and business advisory services, no affordable working space, and little to no exposure to local and international opportunities have kept many would-be entrepreneurs stalled. Most research reports indicate that over half of the population in Malawi lives under the poverty line and 60% of this population consists of unemployed youth. This is a hugely underutilized resource because it is these young people that can help eradicate poverty. Being an entrepreneur who experienced all of these challenges, I wanted to support other entrepreneurs in Mzuzu as they start businesses that will create jobs and contribute to the nation’s development. Through partnerships with my business contacts across Malawi, the Mzuzu Entrepreneur Hub founded. Mzuzu Entrepreneur Hub exists to provide co-working space and assistance to start-up and early stage companies by linking them to a network of services for success. We believe that growth in the number of small businesses formed, job creation, establishment of an entrepreneurial environment, and contribution to the diversification of the economy will lead to a better Malawi. Our shared working space will create a community of well-nurtured entrepreneurs from various sectors as we build their capacity through trainings, mentorship, and exposure to business tools and resources. We will engage with the community and the private and public sector to leverage skills, resources, and knowledge for the betterment of the group. By creating an affordable co-working space for entrepreneurs, delivering the necessary training and advisory services, Mzuzu Entrepreneur Hub will create new opportunities and exposure for entrepreneurs both locally and internationally. You can read more about Mzuzu Entrepreneur Hub on Facebook and Twitter.